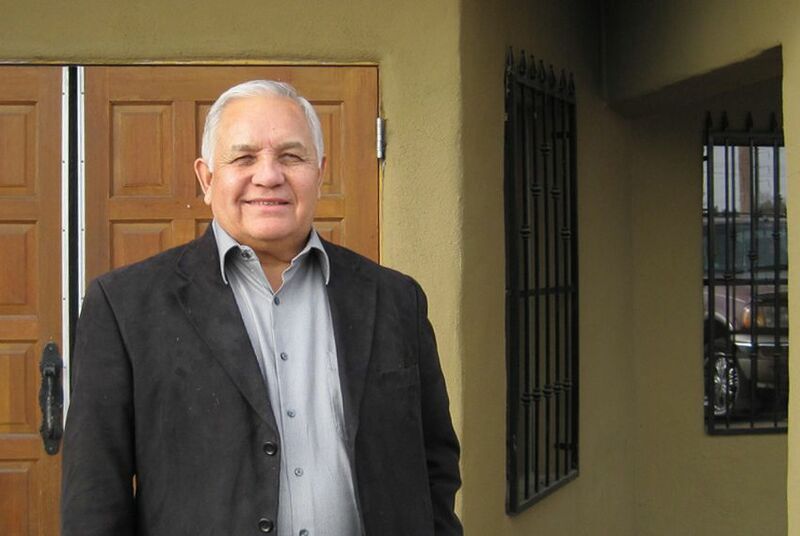 UPDATED: On the heels of last week’s announcement that former President Bill Clinton is endorsing U.S. Rep. Silvestre Reyes, D-El Paso, Reyes' campaign announced today that President Obama is also lending his support. Beto O’Rourke said President Obama's endorsement of Silvestre Reyes will not deter him from trying to unseat the congressman. O’Rourke was referring to what he said are Reyes’ relationships with El Pasoans recently indicted during a ongoing public corruption scandal. Reyes’ brother and campaign manager, Chuy Reyes, said the attacks will only serve to energize the base. “While O'Rourke and his drug-use legalization activists may continue to sling mud and attack Congressman Reyes' character and his family throughout the remainder of this campaign, Congressman Reyes will remain focused on creating jobs, strengthening health care access, and expanding educational opportunities for all El Pasoans," he said in a statement. Make that two presidents backing U.S. Rep. Silvestre Reyes in his bid for re-election to Congress. On the heels of last week’s announcement that former President Bill Clinton is endorsing the El Paso Democrat and former U.S. Border Patrol sector chief, the campaign announced today that President Obama is also lending his support to Reyes, who has represented the West Texas district since 1996. Reyes faces former El Paso City Council member Beto O’Rourke in next month’s Democratic primary. Some have dubbed the contest as the established and more moderate wing of the Democratic Party versus its younger and more progressive faction. O’Rourke has called for a shift in drug policy to help stop the carnage currently embroiling Ciudad Juárez. Reyes attacked O’Rourke over his stance and accused him of calling for the legalization of drugs. In a statement released by the Reyes camp, Clinton is quoted as saying that “Silver” was one of the most effective lawmakers whose work on the House Armed Services, Intelligence and Veterans Affairs committees kept El Paso "on track." Clinton is scheduled to visit El Paso next week in support of Reyes. A call to O’Rourke this morning has not been returned. But, at least with respect to the Clinton announcement, O’Rourke has appeared unfazed. “Silvestre Reyes uses his connections to people like Bill Clinton and Nancy Pelosi when he's trying to save his seat in Congress, but where are these connections when we need them?” O’Rourke said in a statement on his campaign website. He also mentions the congressman’s relationship to former County Judge Anthony Cobos, who was arrested last year amid accusations of involvement in a public corruption scandal, and El Paso County Commissioner Willie Gandara Jr., who was arrested on federal drug trafficking charges this year. “If President Clinton knew about Reyes' links to corruption I'm confident he wouldn't be coming,” O’Rourke continues, adding that the only endorsement he is interested in is “the one from the voters in El Paso." In addition to O’Rourke, Reyes also faces retired Army Maj. Jerome Tilghman, Ben “Buddy” Mendoza and Paul Johnson Jr. in the Democratic primary. Republicans Barbara Carrasco and Corey Dean Roen, and Libertarian Junart Sodoy are also vying for Reyes' seat. Reyes isn't the first Texas incumbent to win Obama's public support this year. In late March, he endorsed Eddie Bernice Johnson of Dallas. She faces state Rep. Barbara Mallory Caraway and attorney Taj Clayton in her bid for re-election.